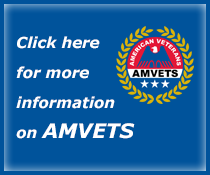 AMVETS National Service Foundation - Helping Veterans Since 1948! Representing the interests of 20 million warriors & their families. A 501(c)3 veterans charity, we are the nation’s most inclusive veterans service organization, open to all who honorably served. 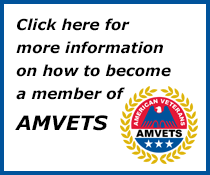 AMVETS National Service Foundation provides Veterans, their families and survivors world-class counsel and representation before the U.S. Department Veterans Affairs (VA) . Your support enables us to provide these professional services at no charge to the veteran or family. Thousands of supporters of AMVETS National Service Foundation joined in creating a special Wreath of Remembrance that was presented at the Tomb of the Unknown Soldier in Arlington National Cemetery. The wreath was formed by weaving together thousands of miniature roses sent in from grateful Americans who believe our Veterans must never be forgotten. 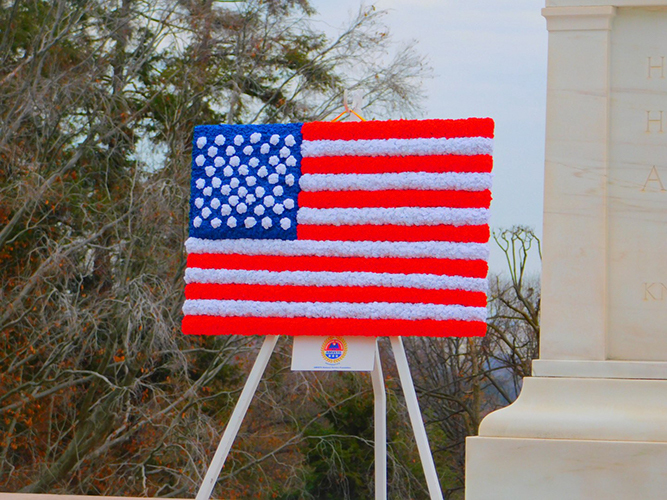 Each miniature rose woven into the AMVETS Wreath of Remembrance represents a tribute made on behalf of a Veteran. 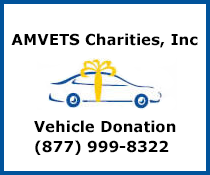 AMVETS National Service Foundation is a 501(c)3 nonprofit operating nationally. 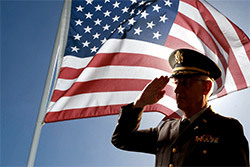 Our primary goal is to serve American Veterans who served our country. Our National Service Officers help “cut the red tape” when a veteran, or a veteran’s dependent is attempting to obtain compensation and benefits from the VA. This service is always at no charge to veterans. Our Thrift Stores offer the general public household goods and clothing at discounted prices. 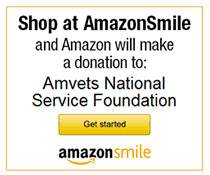 The proceeds from our store sales allow us to provide programs that benefit our veterans. We offer a number of Scholarships to eligible veterans and their dependents on an annual basis to enable them to get an education. Our Memorial Carillon Bells are located in many National and State veterans’ cemeteries across the nation, as well as overseas. They toll to remind us of the sacrifices made by our troops to preserve our freedom. Our Veterans Affairs Voluntary Service (VAVS) volunteers work tirelessly at VA health care facilities to serve hospitalized and disabled veterans and their families with compassion.